In the past year, Jeremy Clarkson lost his mother, many of his relationships, and the job that defined his entire career. 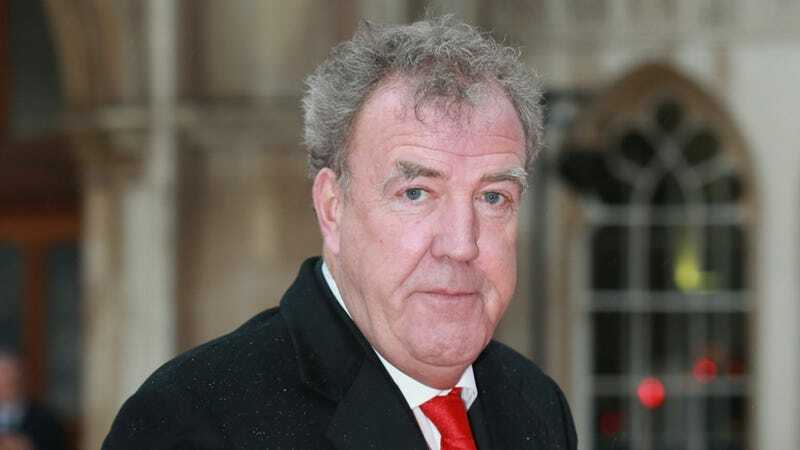 In a wide-ranging—and at times, perplexing—interview with The Times of London Magazine, Clarkson finally started dishing fully about what he’s been doing, and who he has been, in the past year. The reporter for the Times, Charlotte Edwardes, caught up with him in Barbados, where the ex-Top Gear crew is filming some sort of segment where they turn old cars into a reef (neat!). But what the hell was going through his head? What drives Clarkson, to be, well, Clarkson? “No one gave a s*** in Asia. They were alerted to the fact that there was a ‘deeply racist’ slur in the footage, and said, ‘That’s not deeply racist,’ and transmitted it unedited. Which is what I thought would happen. “I genuinely don’t think it was bad. It was built up to be a huge thing. We don’t mind being called ‘roast beef’. The Aussies call us Nigel, a lot. Or Poms. We call the French ‘frogs’.” He has admitted to mumbling the n-word while reciting Eeny, meany, miny, moe and is apologetic for being rude about Mexicans. He looks sour. “Let’s say they were very unhelpful.” It was the time of the BBC inquiry into “the slope thing”. He was fielding calls. He mutters something about someone being “a s***”. The biggest takeaway of all, however, is that he’s this person that’s been put on top of a pedestal by many—if not the majority of—car fans. He’s really just a human. He never misses his kids’ school plays. He likes bird watching. He recognizes that views on what constitutes racism have changed over the past few decades. His entire life has been turned upside down in the past 18 months. He knows he’s not perfect. Read the full interview here (subscription required), though full texts of it are floating around the Internet and I’m sure someone will post one in the comments. It’s fascinating, sad, and very hopeful.